In the short period of time between Dragoncon and Sparkfun AVC 2017 I had a few upgrades in mind for Margin of Safety. 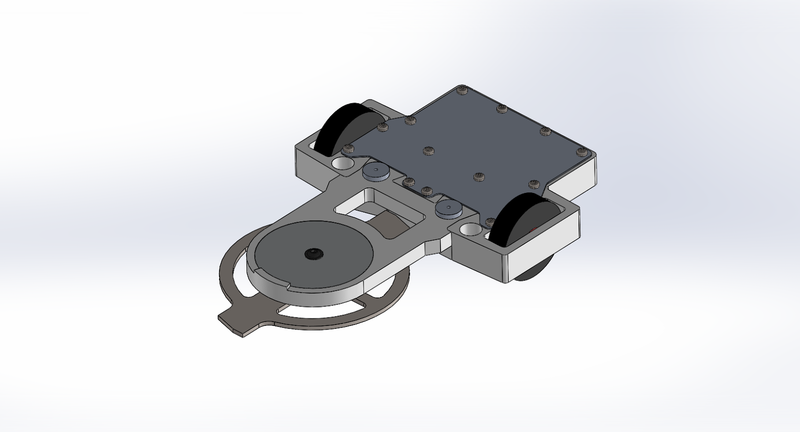 First was a horizontal drum attachment with feeder wedges. The idea was to have the same wedge defeating power as a vertical with narrow wedges, except with a horizontal weapon behind it. Hitting the face of the wedge would impart a strong sideways force, which is unusual. The hub motor is a new design, able to be used for both the horizontal drum and a new vertical drum, fixing weaknesses with the cantilevered motor on the previous design. The new vertical drum. Wider and less vulnerable. 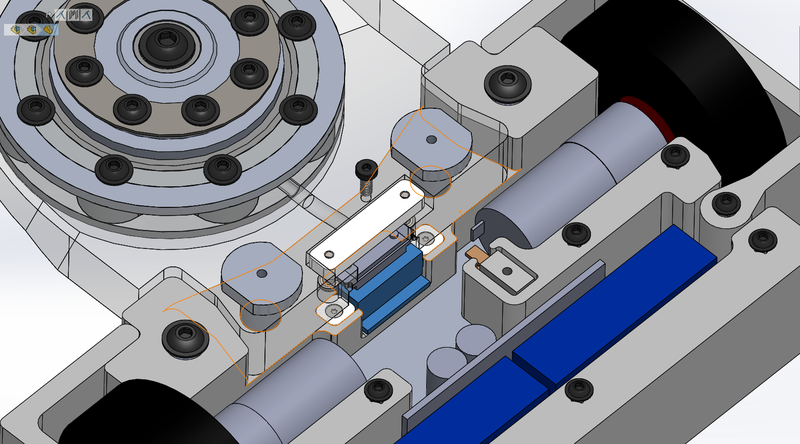 The new design requires CNC turning, which is outside of the tools available to me. So I sent it out for fabrication by professionals. Cross section of the drum. The drum is two main pieces, the hub motor, made of magnets and aluminum, and the hardened drum itself. It uses a taper fit to allow the drum to span the full width of the motor. With this new design the drum is fully supported on two bearings, the motor is fully protected and not cantilevered, and the wider drum allows for less accurate driving. The drum without retaining screws. Horizontal drum with wedges attached. I also experimented with a new color scheme for this robot: meat colored. I bought a stack of adhesive printer paper and cured meats and went to town at the scanner. 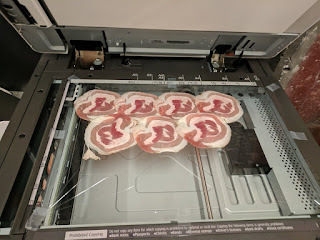 Plastic wrap on the scanner bed for easy cleanup. Sparkfun AVC showed the importance of keeping the 3D prints under compression. At every place where I broke that rule, there was cracking. First was the vertical attachment. It split starting from every hole right along the layers. Second were the wheelguards. The rear end of the guards were kept under compression; those sides did fine. 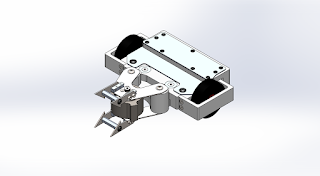 The front end was anchored to the front interface with plastite screws. Those came apart frequently, and I ran out of spares. That failure also ripped one of the wheelguard screws out of the front interface. Luckily the robot held itself together to win Sparkfun AVC 2017 with a record of 6-1, and was the last robot standing in the rumble. I lost one match due to experimenting with horizontal drum. Due to it's length and narrow stance it requires exceptional accuracy to wedge under an opponent. The sides of the wedges are easy to get under and vulnerable to impact, both from the opponent and from flying across the arena. It is likely still useful against midcutters, though I have not tested that. All in all, I feel this is an excellent design once the wheelguard issue is fixed, while the flexibility of different weapon modules allows focusing on the fun parts of design while maintaining a tested reliable drivetrain. 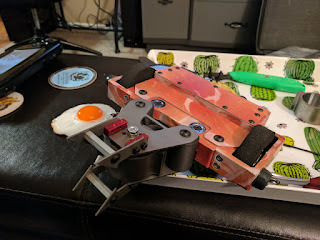 For this robot, the goals were to 1) mostly 3D print the chassis on my home printer, and 2) connectorize the weapon modules. 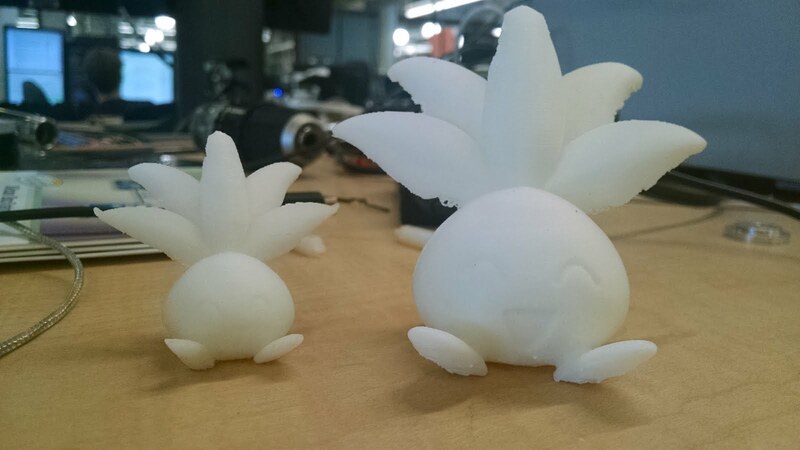 The 3d printing requirement is driven out of laziness. The result of this endeavor was Dinner Time 2, which I reverted back to the Margin of Safety name to restore continuity of the record. I just like coming up with names. I promise it's not made of wood. 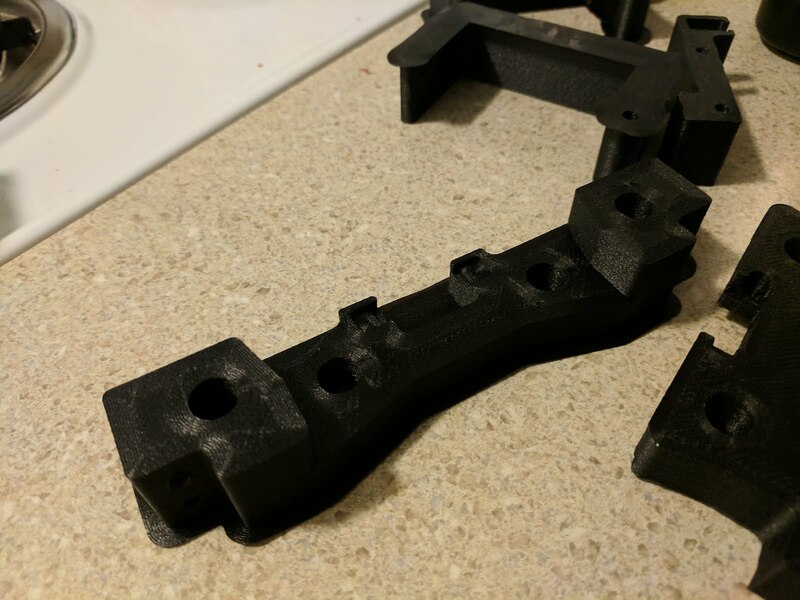 3D printed parts very isotropic, that is, the part strength varies depending on the direction of force. Tensile forces that pull along the layers are well resisted, while tensile forces that pull layers apart (delamination) are weaker. To get the maximum strength while avoiding forces that pull layers apart, I designed the frame elements to have metal parts clamp around 3D printed components. Most of the screws do not thread directly into the plastic, but instead go into standoffs that go through the plastic part. This way, when assembled, the plastic is held in compression by the screws and standoffs, preventing delamination when the plastic is hit by an opponent. Rear picture of the chassis without armor, showing standoffs. The 3D printed parts serve as armor, absorbing impact energy from opponents and distributing the loads across the standoffs. The standoffs connect the 3d printed parts to the top and bottom plates and prevent delamination. 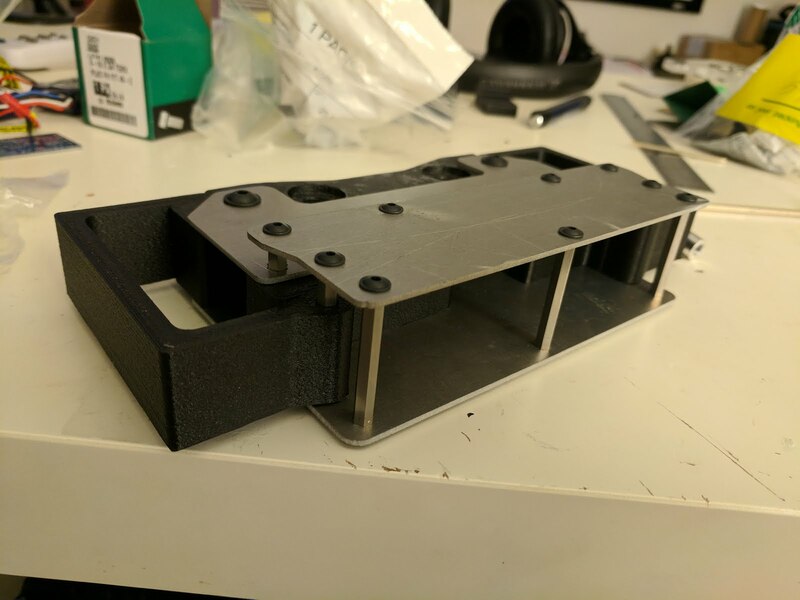 Side view, showing how the top and bottom plates clamp around the 3D printed sections. Front interface is at right. 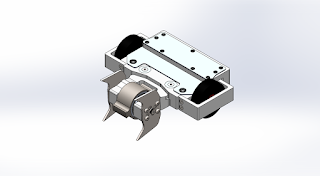 Due to strength requirements and space constraints, the front interface is held on with two large turned standoffs. 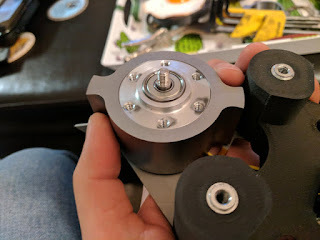 For quick manufacturing, the rear standoffs are off the shelf hex things. 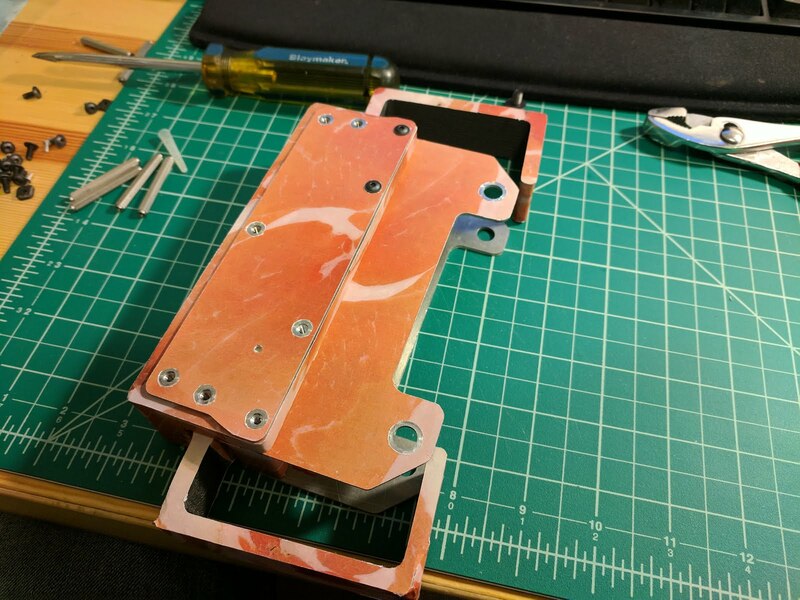 The frame is made of four 3D printed components: front interface, two motor supports, and rear armor. 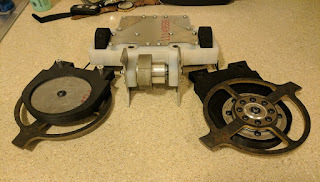 The three top and bottom plates hold the 3D printed parts together. 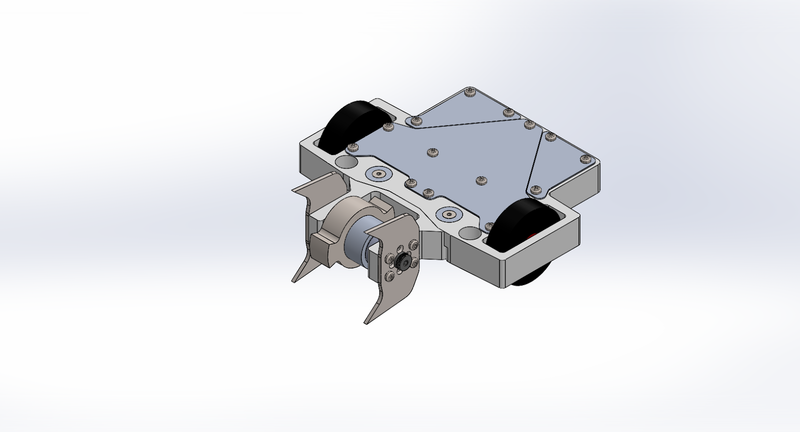 Bottom view showing rear armor at left, motor support pieces, and front section at left. Also seen are wheelguards, drive motors, and weapon connector. I was not happy with the minutes required to switch weapon modules. If someone else had a modular robot, with easy to swap modules, they could out-switch me before a match. As a result I designed a connector embedded in the interface between the weapon module and frame. The weapon module interface on the frame side. I used a six position blade connector, using two blades per phase. Each blade is rated for seven amps, resulting in a total rated capacity of 14 amps. My controller is set to limit battery current to 10 amps; phase current can be much higher. However, given the short duty cycle of the system (three minutes on, non repeating), I could get away with overrating the connector. Placing the connectors into the structure required a lot of work. It had to be firmly connected, in a compact space. It could not result in any weak spots in the connector area. It cannot be impossible to assemble. Custom PCBs were made to mount the connectors and provide large solder pads for the wires. The connector assembly was put into fitted sockets in the frame and weapon module. 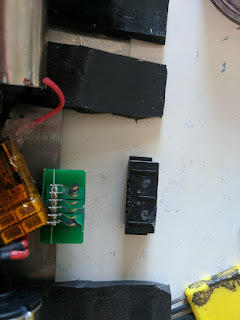 The white bar in the image above is to provide access to the connector so I can solder the motor wires on. The overall dovetail design is retained, though a little narrower. Both weapon modules were more or less copied from the previous robot, with the connectorized interface. On the horizontal weapon this worked out great. In the vertical weapon this resulted in loads pulling apart the 3D print layers. 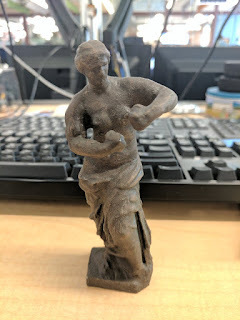 This was deemed unavoidable for maximizing part reuse so I printed it extra thick. Showing the suboptimal screw placement into the 3D printed plastic. The control board was remade removing the encoder and Maxon motor connectors to reduce the length slightly. All the electronics, showing drive motors, control board, receiver, and weapon motor connector. Finally, for fun, I covered the entire robot in two tones of wood grain shelf liner. A little too much time went into this. Undercutter inverted, showing hub motor. The stately appearance qualified it for the Dragoncon Teacup Racers, running without the blade, of course. 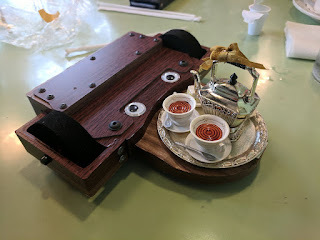 The tea set is a Dowton Abbey Christmas ornament. This robot went 5-0 at Dragoncon 2017 for first place. 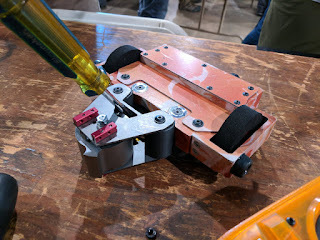 It was a close match at the end due to a broken connector, with no thanks to a "totally not entanglement on purpose" rubber latex wheels. Entangled latex wheel coating. The blade had to be removed to free the motor. Getting lazy with hot glue. Instead of gluing the connector housing to the PCB with epoxy like a regular person I used hot glue. This in combination with what was likely slightly too short wires resulted in the PCB getting pulled off the mounted connector. 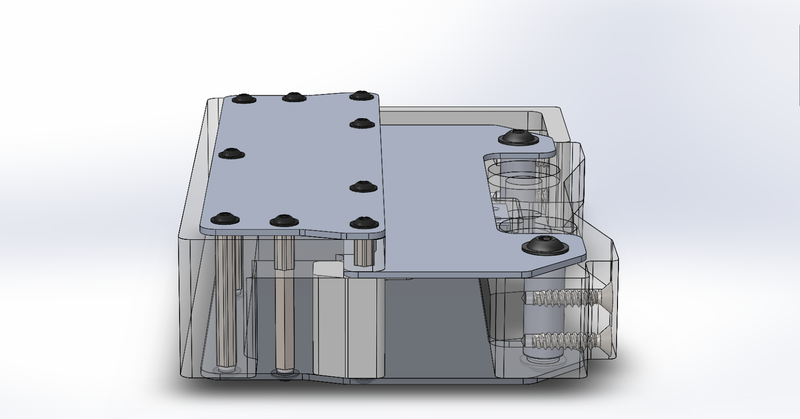 This could also be averted by mounting the connector assembly to the frame via the PCB, not the connector housing. Lessons learned. 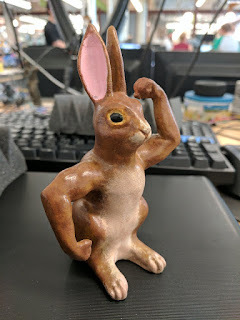 Some nonsense I've 3D printed and painted. All prints are done at 0.1 mm in ABS on a Wanhao Duplicator 6, primed with spray primer, sanded and filled with wood filler, and primed again. This was a birthday gift for my mom. Painted with acrylics and matte coated. I made this for a friend. I don't know why. Painted with acrylics and a few black dots with permanent marker. Blending overalls with horse is weird. I guess you could ride it like a horse. What future is it looking towards. I like the idea that Venus originally had really swole arms. After final priming this was painted with a mixture of epoxy and bronze powder. The idea was to polish and age it. Polishing didn't work so well, it tended to wear through instead. But it still looks alright. It's one of my favorite Pokemon. Next to an oddish cross stitch. The larger model on the right was used for painting. After seeing the Battlebot Bombshell perform on television with it's modular weapons I knew I had to do that myself. 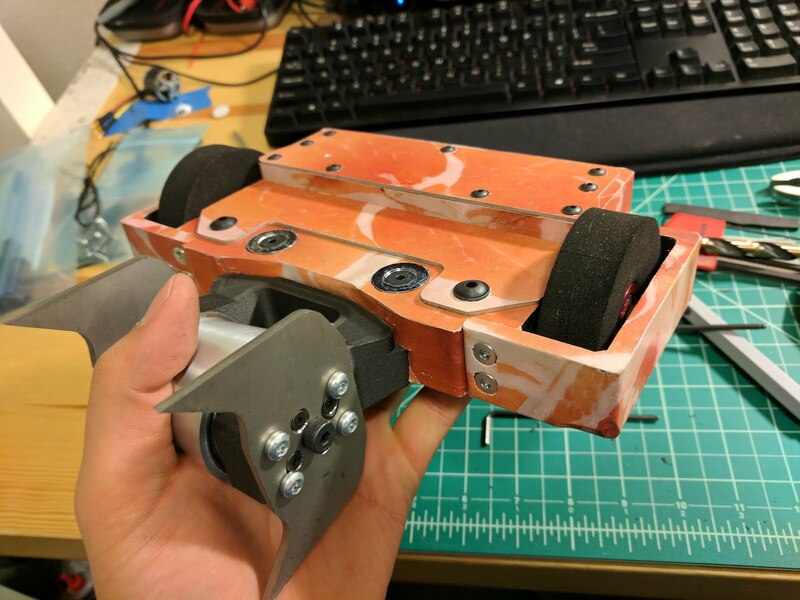 The main goals were to create a modular robot that had an over-undercutter. Bombshell with the over-undercutter at left. Photo from BattlePark2.0. 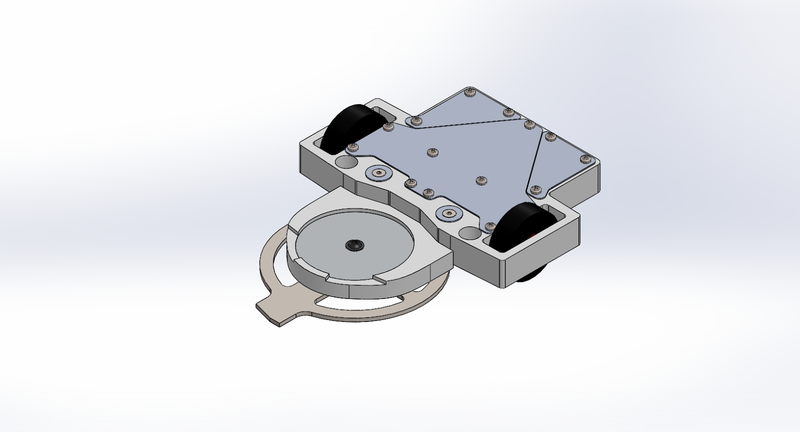 So I created Dinner Time, a modular three pound combat robot, complete with three different attachments. 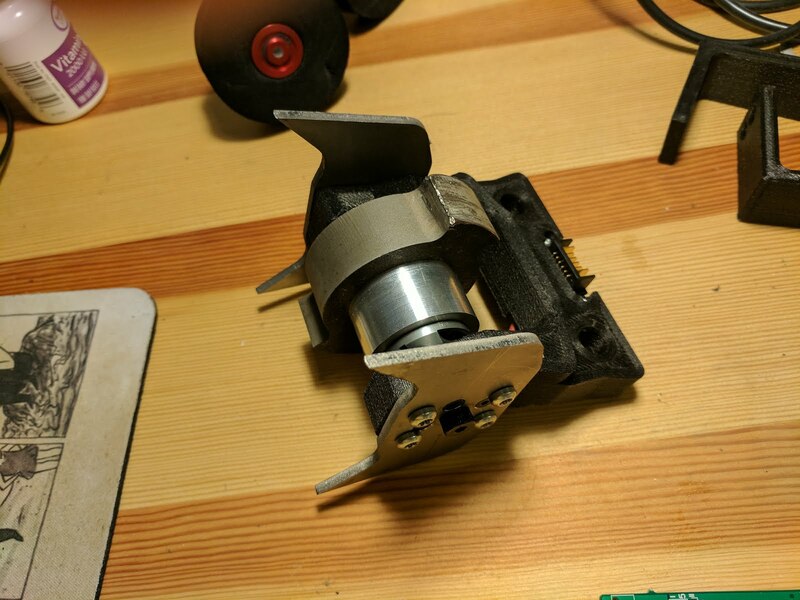 I wanted an undercutter for general use, a vertical designed to peel up wedges that the undercutter has trouble with, and an over undercutter designed to outreach other horizontal spinners. The interface is a dovetail joint bound together with two aluminum posts. Together they provide a rigid connection difficult to rip apart in all directions, while providing easy removal when purposely disassembled. Detail of the assembled dovetail joint. Detail of the connection disassembled, showing aluminum posts. 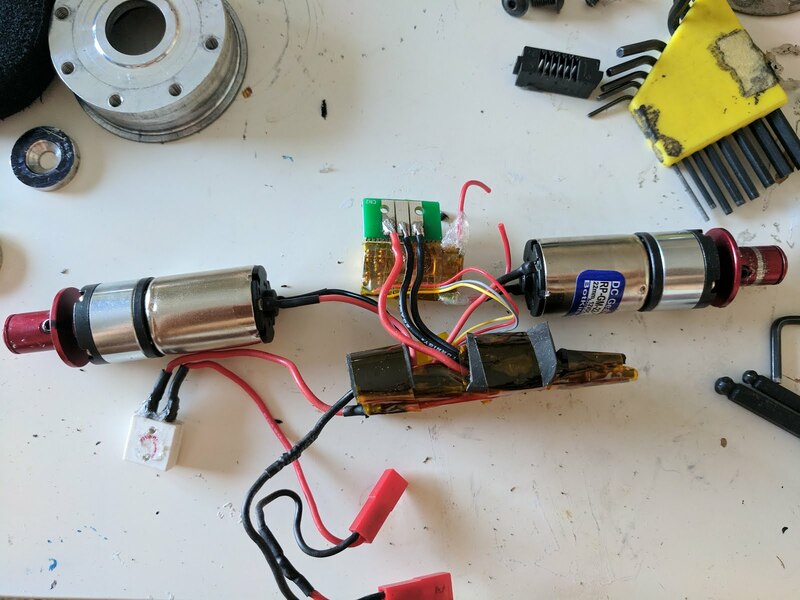 Since all the weapons were brushless hub motors, there was no mechanical linkage to design. Only three wires needed to be passed through. However, since the connector was buried inside the frame of the robot, the cover needed to be removed to change attachments. It was a roughly two minute process. 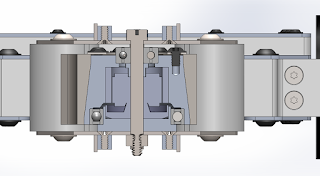 The design of the undercutter was reused from previous Margin of Safety 3, using the spline hub motor holder. The body of the undercutter and the over-undercutter were printed by Jamison Go. Motor assembly with hub removed. Since the blade thickness was increased in this robot, I needed to make a spacer for things to compress right. No big deal. Blade retaining washer removed, showing spacer. The vertical weapon took a lot of inspiration from the robot "Weta, God of Ugly Things". The small points of contact of the front support is to maximize ground pressure for pickup up wide wedges. The weapon makes liberal use of plastite screws to hold the front supports on. A long shoulder screw holds the weapon together axially. Plastite screws, inferior only to mold-in inserts, if even. The axial stackup. 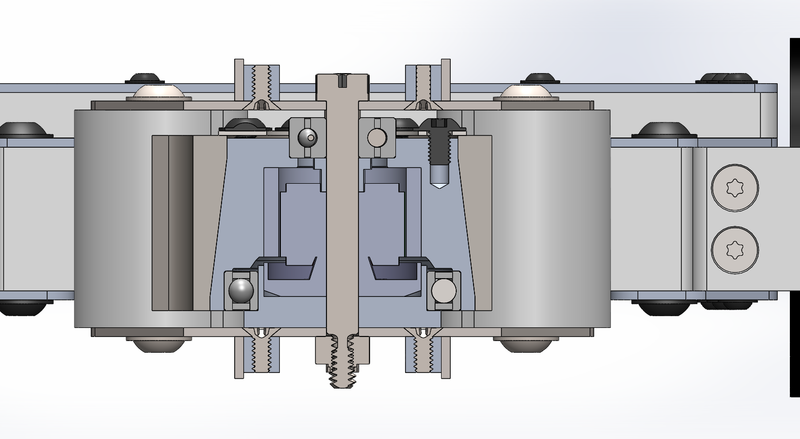 The two bearings sit directly below the weapon, leaving the motor rotor cantilevered. This weapon attachment has some very prominent weaknesses. It cannot take side impacts on the front supports; the screws will pull out of the plastic. Vertical weapons of sufficient range can hit the cantilevered section of the hub motor. Due to the modular design, though, each weapon is allowed to specialize in certain types of opponents, making it acceptable to overlook these weaknesses. The over-undercutter was very interesting to design. 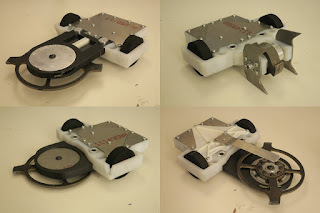 It uses the same hub motor design as the undercutter, extended to put the weapon disk in front of the frame, with an aluminum "tongue" to prop it up above the ground. Inverted with over-undercutter, showing placement of tongue. The tongue was made of 7075 aluminum, which shouldn't be used for spring applications but the number of load cycles here is very low. The sides and front of the tongue was smoothed to avoid opposing undercutters from catching the sides of it. Should the tongue be knocked off the blade will hit the ground. The springiness of the tongue made every use exciting. The over-undercutter received mild damage from running it against certain opponents. A hole in the side, no big deal. Finally the thickness of the weapon interface allowed using larger diameter motors, so I switched to the Botkits 22mm motors, which are substantially more robust than the previous silver sparks and more tolerant of overvolting. The triple motor controller from Margin of Safety 3 was also reused. This robot won Motorama 2017 with a record of 9-1.